THE MUST-HAVE TICKET OF THE YEAR! 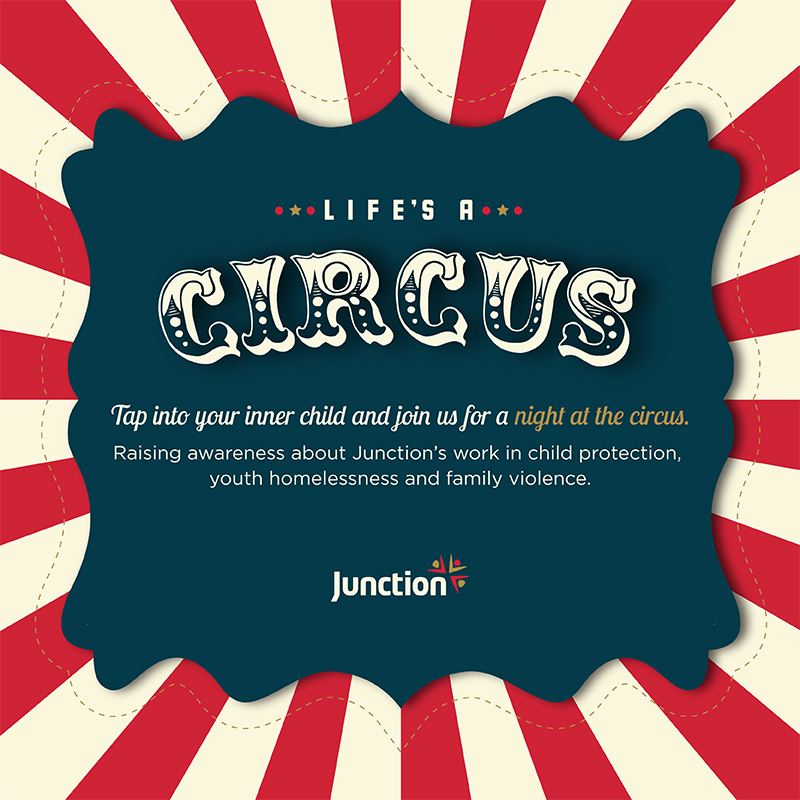 Tap into your inner child and join us for a night at the circus. A sneak preview of the Fringe Club! With thanks to the support of Adelaide Fringe, Comida Catering Co, and Chateau Apollo. Full of Fun Fringe Surprises to Entertain You. Raising awareness about Junction's work in child protection, youth homelessness and family violence. Tickets to this event include canapé service, free flowing drinks and a complimentary cocktail.